As Ben would tell you the best laid plans Of Mice and Men often go awry. Many of you may have already noticed that Paypal has begun refunding donations made through the LostARGs Haiti Relief donate button. All the donations will be refunded and no money has been transferred out of people's accounts. Due to various regulations governing donations, we were unable to process any of the donations that were made though our Paypal account. Dennis worked closely with the acting director of Save The Children to try to resolve the various legal issues involved with transferring the money, but in the end, we were not able to complete everything before Paypal's 30 day limit. So now, also like Ben, we have a plan. We want to try and get the money donated and the prizes won. So we are going to ask you to re-donate using a different charity. We already have your original entry forms but what we need you to do is go to the Partners In Health donation page for LOSTARGs and donate the amount you had originally said you were going to donate. We will give you until Sunday 21st of Feb to do this. As an added incentive we do have some extra small prizes promised to us from various sources, and if we do get all of the money that was pledged previously then an extra genuine LOST Underground Fan Art Project poster will be added to the main prize list. We are not going to open up entries again as we feel this would further complicate things. However if you wish to donate more money (without extra chances to win) to the Haiti appeal then please feel free to do so. Dennis and I can only apologize for all the hassle this has caused, we know you are all a fantastic group of people and we are privileged to know you all. Click here for the original prize 9 post details with the Terms and Conditions. The vote to find out if we could turn this this 9th prize, in our series of 10 competitions, into a way of getting donations for the Haiti disaster appeal was not 100% unanimous but a large percentage did say yes. So to try and keep a happy medium we will be doing things differently for the 9th prize. The entry questions are below, you can use the same entry sheet as in all the other competitions - The entry form is no longer in use. The first question asks for a PayPal reference number, if you donate $5 then you will get two chances to win the prize, for every additional $5 donated you will get another chance to win. However if you do not wish to donate then we will allow a free entry for each person, the free entry will only count as one chance to win, leave the reference number field blank. Donate using the button below. The closing date for this competition will be 22nd of January 2010. All this talk and no mention of the prizes, well here they are and we are doing this a little differently again. The prize package will accumulate the more donations we get. 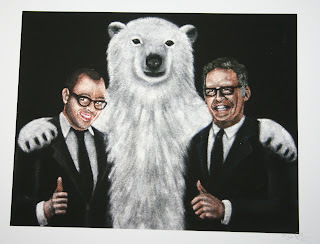 The first and guaranteed prize is a Damon Carlton and a Polar Bear Giclee print, number 27 of 30. This was given to us by Gallery 1988 as they recognised what special people LOST fans are. Clarification - There will be one winner per prize, i.e. if we reach the $1000 target then there will be 4 winners, if we get below $750 then there will be two winners. - Entry is open to anyone that visits this site. - The number of chances to win and entries accepted is described above. - You can donate / enter as many times as you want, however for the 2 chances for $5 entry only your first donation or free entry will count for that offer. - Only entries submitted with the correct answers will be eligible. - Correct entries will be entered into a random draw after the end date displayed on the prize announcement post. - Entries will only be accepted via the entry form that will be linked in each prize announcement post. - Winners will be contacted by email at the address submitted for the prize draw entered, a postal address will be required for the prize to be posted. - Prizes will be sent out as soon as possible after the draw date, but we cannot guarantee a timescale for this. - The only person excluded from any draw is Zort70 who will be administering the draw proceedings. - Any information recorded as part of a competition entry will be kept private and not used for any other purpose. - The decision of the LostARGs admins is final. - If there are any questions about the draws please contact the admins email address displayed at the top of the blog. - As there is money being collected as part of this draw there are two Administrators with full access to the PaylPal account receiving the donations. As always if there are any questions just email us at the admins email address. Hi all, apologies again for all the delays and hastle. Hopeffully we can get this resolved quickly and efficiently. I just checked PayPal... and it still shows as "unclaimed". Should I just go ahead and donate to the new charity... or do I need to wait until the other has been refunded? We are in the process of declining all of the PayPal transactions that haven't been denied automatically. You should get an email confirmation soon. They should all have been denied now, let us know if you haven't had an email. I've donated to the new charity. My credit card is under my legal name- it's the weird French one - but you should be able to figure out it's me. The email address is the same. So since many of you are already planning to donate there, please email me your receipt by 2/22 to be entered to win! Thanks again to Zort for persevering, and making sure it worked out in the end! Nicely done Zort & Dennis! Money resent. I'm familiar with Partners in Health as they are based in Boston... about 45 minutes from me. They do great things! Thanks for setting all this up, Zort & Dennis. Sorry about the hassle! Sorry for the all hassling you and Dennis went through, Zort. OKAY DOKAY-no worries guys. Redonated -maybe a good thing for help to continue to come after the initial surge. Thanks so much Zort and Dennis for organizing (and reorganizing) this donation!! Glad that Haiti will still see the money! @Jo that's awesome! Will email you as soon as I get the receipt. :) Thanks! Well we are already back to over $1000 dollars in the kitty, but this time it has already gone to the charity. Zort, do you match it up by donation name? Reason I ask is my mum and dad didn't really christen me ioioos! Thanks Zort for going through all the hassle...such good work you do! They should have done ioioos! Redonated and about to forward my receipt to both lostargs admin and Jo! Excellent job finding a way through the donations minefield admins. We appreciate your efforts greatly. Just picked up Smoke Break from the post office. It really is brilliant, I love it that bit more because mine is 4/100 and this poster now has a whole new meaning to me, lol. Forgot to mention about your Fedex charge, that's a major bummer. If you've already got the product though, what's to stop you not paying it? Turns out they shouldn't of charged me for the Smoke Monster so I have to send the stickers to them saying it was a personal gift from a friend, blah blah, to get my money back. Dennis is the brains behind the new donation system. We needed to find this a month ago ! WE will do our best to match up the original entry form submission with the new donations based on the information given. If we can't match things up for some reason we will of course ask. @Martyn... sure I could try that but I suspect next time FedEx have something to deliver I may find myself with a problem! 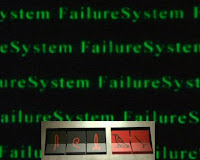 lol @ system failure pic btw Zort! Done. Thanks for taking care of this! I hope it hasn't been a huge headache for Zort and Dennis. Just a general question for you UK folks: What is the best US Shipper to the UK? US Postal... UPS... Fedex? Thanks for getting this straightened out, guys. I just resubmitted my donation. I think with UPS and Fedex, there's more of a guarantee that they aren't going to lose your item. @Pat - but with UPS and FedEx - if the item is marked as something with a value everyone takes a cut... as we've found to our cost! I've been ordering quite a lot of trading cards lately from the US and they come through regular mail OK (touch wood - so far so good). I think small stuff is OK through USPS. Smaller stuff is ok, except in the case, of course, where you do get some idiot who mistakes a $ for a £ and then whacks a custom charge on it for no reason. Each has their own pro's and con's but I imagine ChrisL has dealt more with the UPS and Fedex than I have. I agree though Martyn. For a sense of security FedEx and UPS for sure just as long as the item is marked as a gift. Oh definitely, there's less of a chance of it going missing like so many royal mail parcels. Speaking of which...still looking for LS, if anyone wants to talk. Email's as always: unseenpresence at gmail. Thanks to Zort and Dennis for getting things straightened out. I will re-donate as soon as I get home. PIH happens to be the organization I chose for the bulk of my donations for Haitian assistance, (outside of LOST ARGs) and for who I (with a group of people) collected medical suppplies/equipment and raised money for as well. I have been involved with PIH for over a decade, and they do amazing work. They've been in Haiti for over 20 years, and because of this longstanding grassroots experience with the Haitian people can really direct money and assistance effectively. Thank you to all who donate. Thanks to those of you who have already forwarded me your receipts - you are officially entered to win! 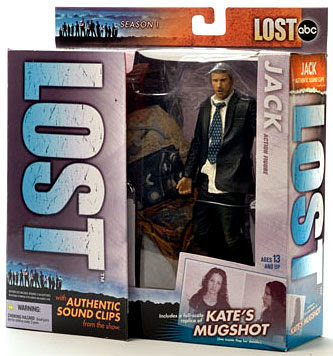 FYI, you can preorder a Ben and Kate figure set, as well as a hurley and Locke set (created by entertainment earth) on abc.com and EE's website. Release date is around august 2010. @Jo - I don't know if I'm the only one having this problem or not, but they never emailed me a confirmation receipt. After I hit submit it said they were going to, but I never received it. Usually these kind of things are set to automatic (and if theirs isn't, it should be!). Perhaps there was a mistake, etc. so I emailed them asking for it. Anyone else having the same issue? @Team Jack - I haven't heard of this issue so far, but no worries regarding entering my contest. Simply leave a comment on my site that you donated & indicate which item you're interested in the most. Thank you for your contribution! I want to donate the same amount but I am in Hawaii and I'm not on my own computer and won't be back home until the 22nd. I'm with you, UPS and Fedex all the way if the price is right. I find there is much more chance of getting it in one piece, and the couriers are more flexible. My local Fed Ex guy found I wasn't in but knew he would be passing by my place of work. So he dropped it in without being asked! Any the scum of the earth UK couriers in my eyes..? Citylink. I will now actual avoid ordering from companies that use/partner them. Amy and Sam I have sent you an email. Yes FedEx or UPS seem to be the best from my experience. If you hadn't had a chance to see Pierre Chang's Facebook page. It's a riot! There might be some spoilers, so beware visiting until after you see this week's episode. That's awesome JPL, thanks for the link. Any LU 108'ers with an e-mail yet? Just resubmitted my donation...thanks again guys! I don't know if anyone has posted this already somewhere... but I had a lady from my LOST group send me a link to some other AWESOME fan art! I would love to have prints of some of these... for sure! 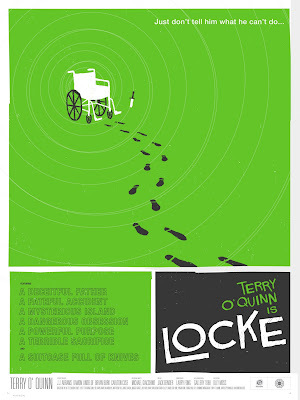 I finally found and purchased the Tyler Stout LOST print... so now I am truly, just one poster away from a complete set. Still trying to avoid being bent over a barrel on Ebay... so if anyone has a lead on a copy of The Crash, I'd be very happy to hear from you! I'm still trying to figure out what to do for framing. I know what I want to do, I just don't know how to do it. I think it might be worth a trip up to my uncle's house, to talk with him. He's been a master woodworker for decades, and would probably be able to help me out tremendously. I can't wait for next week's episode!!! Just wanted to say I appreciate everyone's prayers... my FIL passed away this morning. Back in the day, he was one of the early TV writers. He wrote the Reisner report, Miss America, and the pilot of the Flintstones. Fred Flintstone is named after his father in law, Fred Kallaher. Hey Amy, so sorry to hear that news. Thoughts with you all your family. Patmc. Congrats on your Stout purchase! You're so close now :-) And thanks for that link, some of those pieces are awesome. Go and see your uncle then get on with your frame making video diary! So sorry to hear about that, Amy Lynn. Working on the pilot for the flinstones is pretty awesome. @Martyn - :-) I'm really sorry... but I don't think I could part with it. It has great sentimental value to me... as it was the one I got at Gallery1988. I look at it, and think of all the great people from LostARGs that I got to meet there. And it makes me wonder what Carlton did with that pen he stole from me... LOL! @throwfar Wow, that looks cheap. I mean, I'd love a Locke's Secret shirt but not that badly. @patmc Congrats on your purchase! That is quite impressive to someone who remains 0/16. Still no LU email here either and today marks the 7th business day from the day our internal emails were sent. Has anyone logged back into LU to see if there's an update there? Was the stout a bargain or standard? @amy lynn Just checked LU, nothing new there. Last message in my inbox was the one from 2/9. has it really been 7 business days? I count 5, maybe 6 as it was sent the day before graduation. I am so sorry for your loss. I'll keep you and your family in my thoughts. Yeah, I think it has been 6 business days including today (Monday was a US holiday). So I guess if it doesn't go out today it will go out Monday. @Martyn - Actually it was a pretty good deal, all things considered. 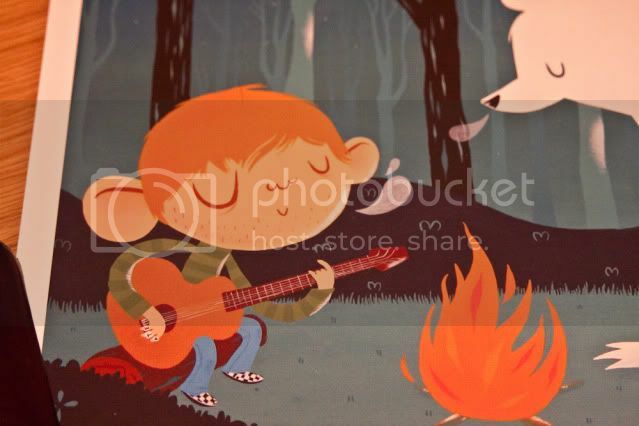 I tried for, and missed getting one of the 5 Stout prints that went up on postersandtoys.com a few days ago. They were selling those 5, for $300 each plus shipping. @beesknees7 - I've been lucky... but also, it involved lots of horsetrading and much more money than I care to admit. But that's the point of an obsession, isn't it? I was missing The Crash, plus the last 3 posters, and figured that was that. Then, one by one, I was able to find or have offered or trade for each of the posters I was missing. It was very strange how everything just kind of fell into place. @Patmc, there's one about to go on Ebay in the next hour for just over $600 looks like... Crash prices have been much kinder than Locke's Secret right after that dropped. I wasn't looking at the Locke prints after they dropped... what were they going for? @Patmc... upwards of $1200, two or three went upwards of $1600, I think. Amy Lynn- also sorry to hear about your father-in law. Some of the folks from that generation seem larger than life don't they? Amy Lynn, my dad and I both think The Flinstones is the best cartoon ever! I AM COMPLETE ! ! ! Now... on to the issues of matting and framing! I think I will just avoid looking at the credit card statement next month, and let my wife take care of it. If my wife wasn't as big a LOST fan as I am... it never would have happened... LOL! @ChrisL - Thank you... I'm over the moon right now! A full set must be an amazing view! I promise to take lots of pictures once I get all the framing done! Though, I'm hoping they look HALF as good as Lottery Ticket's magnificent display! If it's half as good as lotto's wall then it'll be amazing! @Patmc: Congrats, I've been working on those same auctions with you. I just need "The Crash" and I'm done. I have a dollar amount I'm trying to stay at for it since I've dropped enough $$ on these, but I may have to re-evaluate. A while back I mentioned looking to work a trade with the Olly Moss black and red prints: Indy, Die Hard and Deer Hunter. The Indy is out of the running, but the offer is out there on the other two. Email me yingko9 at gmail. I got these from another collector and I have them in hand. Amy, sorry to hear about your uncle. What a fascinating life he must've had. @Amy Lynn: So sorry to hear about your FIL passing. My father was also a television comedy writer and was involved in early TV. With each passing, some of our history dies, too. Congratulations! I look forward to your photos and reaction to having them all on display. They are quite powerful as a group. Enjoy! Amy Lynn, Sorry to hear about your FIL. It sounds like he had an amazing life, and has left quite a legacy, obviously the most important being your better half. I don't post much, but have been following the arg for quite awhile. It's always great news to hear that another has achieved full set status. I know you've been working on a full set for awhile. My sincere congrats! The fact that your wife is so understanding (and a Lost fan to boot) is a reflection on you. You must be a great guy for having such a gem for a wife. @ Amy Lynn - so sorry about your FIL's passing. That generation is truly one that will never be forgotten. @Amy Lynn so sorry to hear that. At least with the advent of DVD, people's work can live on. Small comfort, but better than none. @Pat congrats on your full set :) Now you can just kick back and admire the mighty wall o'Lost once they're all in hand/framed. BTW re: US to UK mailing - I recommend the USPS Global Priority, SMALL flat rate if you can fit what you're mailing. Don't use the medium :P It goes up by $30! Off to re-do my donation. Amy Lynn - It is a great loss for you and your family, but remember it was a blessing in the first place to have had him as part of yours and their life. My condolences. Pat-so glad you got what you wanted with the full set-sweet! Anne-Really like the T's- especially the "Only Ends Once". Do we vote in the contest? Sorry to hear your FIL passed. My thoughts are with you and your family. does the deadline to re-donate include sunday or does it have to be before sunday? Soooo... I've been off for a week running a school trip in Manhattan. 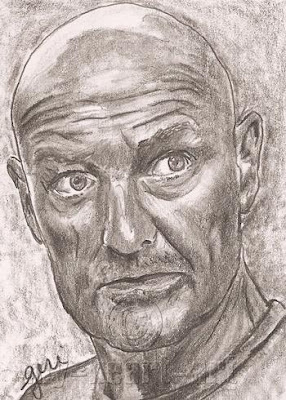 I get back to find not only my What Would John Locke Do? shirt, but my printS from Lauren Gregg... 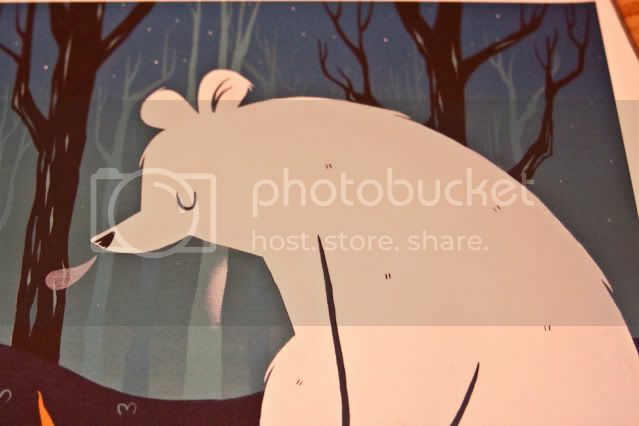 Smoke Break 1/100, and a one off, 1/1 print of Charlie and the Polar Bear! Great Homecoming for you Ben! How was the trip? really good. My kids are all fully fledged manhattanites now. Although I have no money left... I wonder when the Danger will drop? I'm hoping start of the month! In other news, just saw this weeks episode... I was SO right about the ash. Nice to see Valenzetti rearing it's head, too. Hey Ben.... oops, I wish that I'd known you were here, I would have invited you over for LOST. Next time. Nice one ben, and it's unique now considering she can't sell them anymore. 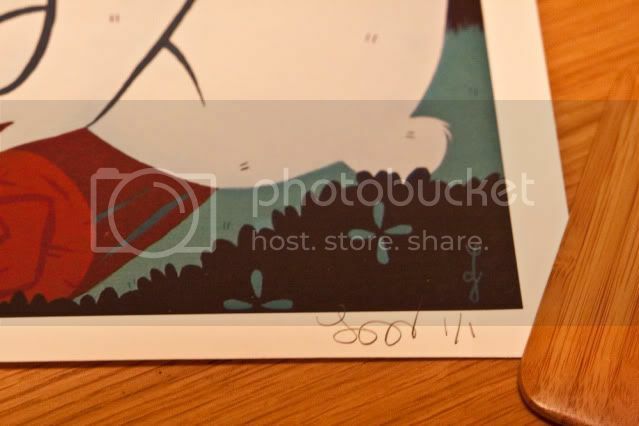 Hope she didn't print them already :s and the first smoke break print too, was wondering when that would rear it's head. Any idea of how many she ended up selling before the mouse ears over heard? I obviously need to watch this weeks episode for the fifth time because I don't remember hearing about the valenzetti equation. Welcome back Ben. What a cool gift to come home to! My TeeFury "only you can protect the island" arrived today. Much nicer than I expected. @Ben - nice surprise! In the same boat as Ray... if Charlie and a Polar Bear need a new home, keep me in mind. I'd take good care of them... making sure the Polar Bear had enough Dharma biscuits and keeping Charlie with a fresh set of guitar strings as needed. Turns out my teefury has arrived too. Seriously, maybe I should stop with the t-shirts now, i've got at least one lost tee for everyday of the week now. sorry, I won't be parting with it - I love it! I shan't be scanning it, either. I'll take a couple of pics of it tomorrow so you can see. It's also signed and numbered as 1/1 - she told me she was going to send it. 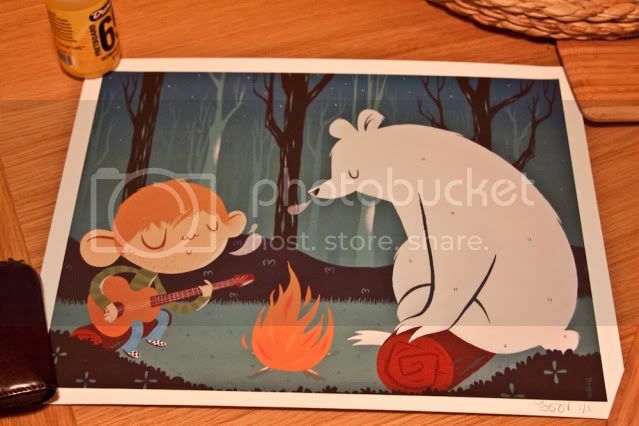 It's a test print, as Charlie was going to be the next print before Disney shut her down. I think there were only this one and her one! He's getting framed up later soon enough. Whoa, just remembered about this. My PIH contribution is now in, email sent to Jo and blog post made on Jo's site. Think I'm covered now. @Ben - completely understand. Very cool of her to do that for you. Can't wait to see the pictures. Nice to see the donations still coming in. @JT thank you! And no, they have a panel of experts :o lol. I'm okay with that, it usually comes down to who has the most friends to recruit otherwise. Though a "fan choice" would have been cool, too! My Smoke Break was numbered 15. For those wondering how far along she got. I think I have figured out how to put the Polar Bear plush on Etsy without getting sued, hah. I'm planning to make the listing tonight, as soon as I decide final price/how many I can actually make. It will be pretty limited for sure, I'm too slow! I better be fast for a polar bear plush then! Ben, that is beautiful, you must be thrilled. I think from here and EB, we got up to the 70's of the Smoke Breaks, so not so bad. I'm sure Lauren will shift the remainders at art shows or such. Thanks for the pics! That's great, you're so lucky. I'm holding onto the hope that she just releases it anyway! Cool, let us know if/when you put them up! Nice photo's. I presume it's a giclee like Smoke Break? It's obvious you obviously made a nice friendship with her via e-mail, which shows how normal all these artists are considering their popularity. Now all I need is Carlos Ramos to fight the mouse and release DHARMA Science Manual Volume: 4, although I believe there was drawings on the edges of the canvas too. Really wish I had a $1000 to buy it, not that it'll matter now that it's sold. I did email Carlos about this LOST paintings and he said that he isn't going to make them into gicless/prints. Let's not forget where the real One of One Charlie hangs. Can I make a scan... I'm an attorney, I should know the answer to this. @Trial Attorneys - I completely forgot that you had the original. Good to see that 2 of our fine LOSTARG friends have such a great piece of art work! Also, did you get my email sent earlier this week? Sent to frazierfirm at gmail dot com. So AliceL finally finished her Some Of My Favourite Memories Of LOST frame today. Scroll down for the annotated version. @ChrisL - she's absolutely adorable!!! And it looks like she shares her passion for LOST like her Dad. phew! just squaked my donation in. Fingers crossed. AliceL did a great job on the frame. do we need to do anything once we redo the donation? Anything you need to match them up? And we have until midnight right? That's beautiful ChrisL-good for her! @Drsluggo - I think Zort and Dennis are able to match the original Paypal donation information provided to the PIH information donation which they must have access to. Zort's been quiet today... must be all the paperwork he's going through (which we do appreciate). @Lottery Ticket - what is your secret? You always seem to find all of these goodies for us to enjoy. Thank you!!! Does anyone know how Mrs. Z is doing? Lotto- are those Lost images posters or t shirts that can be purchased? ok... redonation made. I almost forgot... at the buzzer! here's the BEAR! by Anne: The original traveled to Gallery 1988 LA and had a great time. Now he can be yours! Do NOT panic should they be sold out, if there is more interest I'll list a few more. Am certainly NOT making a large/infinite number though. They're time consuming little dudes lol. Taken at Gallery 1988 LA the day after the Lost Underground Art Project event the previous evening. That's a nice collection of stuff! Congrats to AliceL completeing it. Hi all, thanks so much for all the kind words for Mrs Zort she is feeling much better and is back home now. She needs a few more visits tothe hospital, but should be ok long term. Also thanks to everyone that has redonated to the Haiti fund, we are nearly back at the full total we had before. Some people couldn't donate directly so have donated indirectly and we do have a list of all those donations to add to the total on the PIH site. It will take a couple of days to collate all the info so we will announce the winners on Wednesday. Glad to see the little ones getting pulled to the island! I tried to get more 4 year old twin boys interested. The only comment I got from one (when he saw the Jay Ryan Polar bear print) was. "I like the white doggy with the big bum". lol ioioos. I know adults that think the same thing about the Jay Ryan!